Two posts in one weekend?! It must be the warm weather because I've been all kinds of productive. During B's nap today, I made this smart lookin' iPad sleeve in about an hour (including snapping photos). I'm not too keen on the protective case we have, but there's nothing wrong with it so buying a new one would be silly. Instead, I made a new felt sleeve using supplies I had on hand, including a leftover button from B's chalkboard towel (they come in packages of two). So, really, it was practically free and super simple. 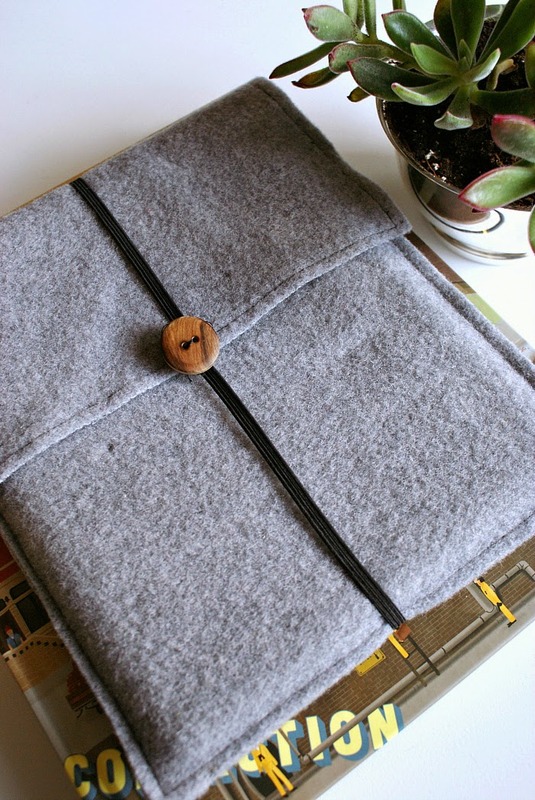 If you can cut a piece of felt and use a needle and thread, you can make this sleeve! Felt - I found a yard of high quality wool felt at a thrift store a while back. Seriously, you never know what you'll find while thriftin'! 1. 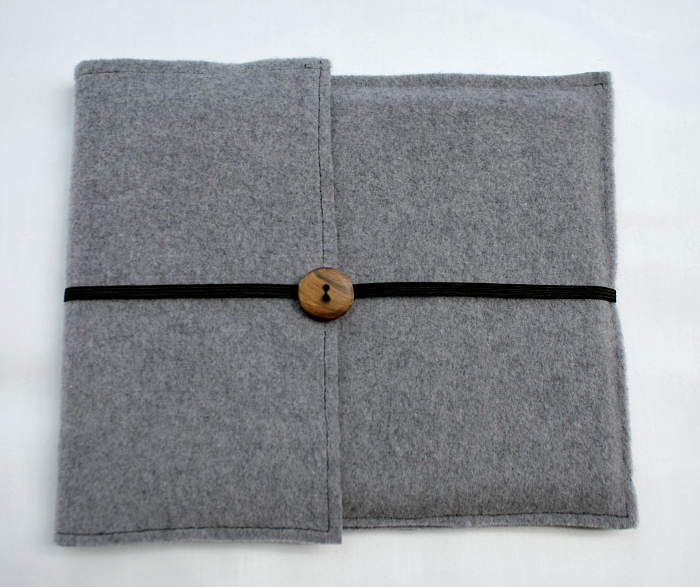 Measure and cut a 22" x 9" piece of gray felt, then fold it over about two thirds, making a "pocket" for your iPad or tablet. 2. Machine stitch along the edges with black thread. If you don't have a machine, a simple hand sewn blanket stitch along the edges would look great, too! 3. Cut a 22" piece of black elastic, fold it in half, position the ends in the middle and use a needle and thread to sew in place. 4. 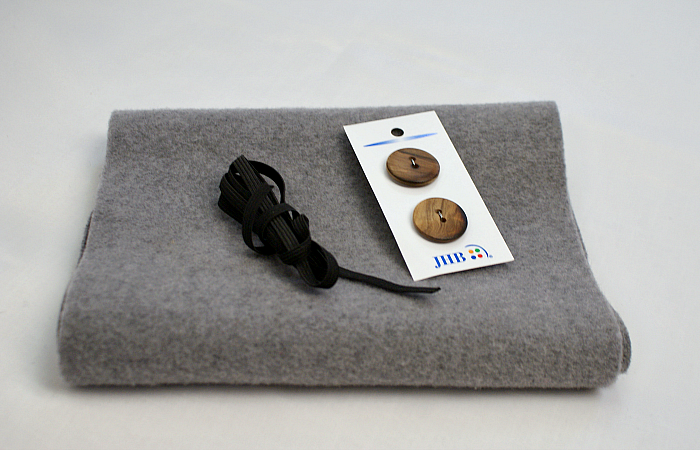 Sew a wood button over the elastic ends.